Are you thinking about starting a DIY spray foam insulation project? While at Atticare we always recommend professional and safe insulation installation, we know there are times where you may want or have to do it yourself. 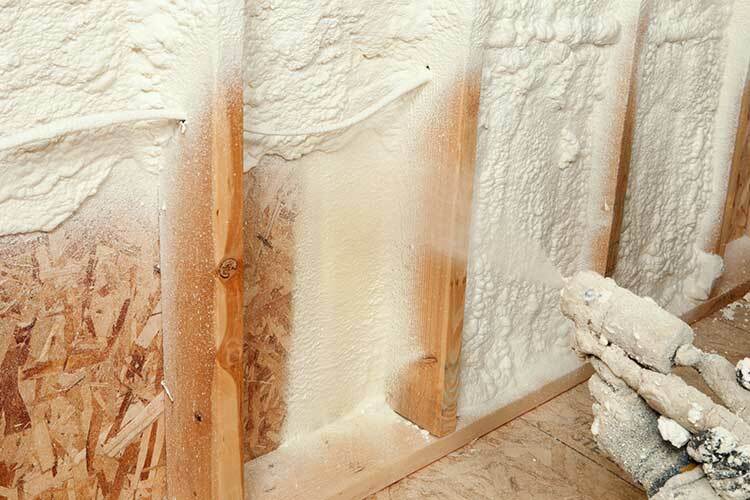 Here are six main risks and tips associated with DIY spray foam insulation. 1. Spray foam installation requires special equipment. Once you have the right equipment, make sure to take the right measurements on how much materials you will need. Having the right materials on hand can save unnecessary and costly trips back to the hardware store. 2. Safe installation requires a thorough assessment of your home’s ventilation. Foam insulation is a safe choice for homeowners when properly applied, but spray polyurethane foam does contain substances that are harmful, if not eliminated via proper air circulation. It is critical to assess a home’s ventilation to ensure aerosols, mists, and vapors can escape after application. Maintaining a high level of indoor air quality using an industrial-grade exhaust fan is recommended. 3. Incorrectly mixed chemicals make spray foam insulation less effective. Like with any chemical system, the liquid chemical components of spray foam insulation must be mixed properly to provide ideal performance. Faulty spray equipment can lead to off-ratio foam, which causes the foam to pull away from rafters and studs. This occurs due to the chemicals not reaching the right temperature before being applied. Leaving damage and cracks to your roof – and of course a loss in your home’s energy efficiency. 4. Missing spots can reduce your home’s energy efficiency. In order for spray foam insulation to provide desirable performance, it needs to be applied correctly. Hose and machine temperatures can also dramatically reduce the functionality of your foam insulation if not at the right levels. If this is your first time working with a high-performance insulation machine; make sure to apply the foam uniformly and watch for missed spots and gaps, or you will run the risk of under-insulating your home. 5. Applying the product too quickly presents a fire hazard. Installing spray foam insulation too fast can prove a fire hazard to you and your home. As the foam cures, spray polyurethane insulation releases a lot of heat. If the application is too thick, it may burst into flames, resulting in a structure fire. In other cases, layers of spray foam insulation that haven’t been allowed to cure for the appropriate amount of time can damage the product and reduce its insulation capabilities. Knowing the right amounts of insulation to apply can eliminate risks of an unsafe installation. 6. Installing spray foam insulation requires experience. Before applying the foam, you must take the time to properly prepare the area in order to prevent damage. Foam spray guns can be difficult to operate and often clog if improperly used. Keep this in mind as materials can be costly and time consuming. Lastly, proper technique on how to spray foam insulation requires a delicate balance between heat, pressure, and the spray-gun configuration. Getting just one factor wrong can lead to poor cell structure and dimensional instability. Which results in cracking, shrinkage, fissures, and poor adhesion. Even while following the best practices for installing spray foam insulation for a DIY spray foam insulation home projects, it may be best to first consult with a trained professional. Atticare has provided Northern and Central New Jersey homeowners with insulation services for more than four years. Our expert technicians are ready to help you understand and install spray foam insulation with the expertise and exceptional customer service on every job. To learn more about our spray foam insulation services and to see if this option is right for your home, contact Atticare today.